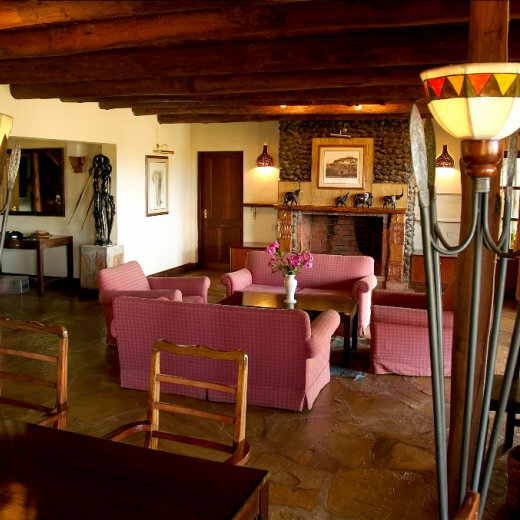 Kibo Villa is located on the foot of Mt Kilimanjaro in Amboseli National Park. A place of rugged beauty, abundant water, lush grass and forest, set like an oasis in surrounding savannah scrub. The property has its own entrance and car port. Kibo Villa provides an open and generous atmosphere with a combination of majestic yet gracious comfort and the aesthetic appeal of its rugged surroundings. The villa has 3 en-suite bedrooms. Named after Amboseli’s well documented elephants, Echo, Eli and Adam, all the three rooms have a direct view of the mountain. The entire first floor is taken up by “Echo” a honeymooners delight with its own private jacuzzi, fireplace and a verandah on which romantic meals can be served. Eli and Adam on the ground floor are spacious with large beds and a sitting area. The turn down service cocoons the bed in mosquito netting. 240V charging facilities are available and laundry is provided on a daily basis. Kibo Villa accommodation may be self-catering or full meal services can be provided with a chef and waiter. International cuisine caters to a variety of dietary requirements. Dinner is served around a large dining table, ‘dinner party style’. The kitchen is well facilitated and there is also a barbecue area. Spacious dining room with large windows to maximise views. Private meals can be arranged.